My husband and I were very impressed with the service. The person we dealt with ( unfortunately we did not get his name) was helpful, courteous and pleasant. Thank you! Situated within the Collins Road Industrial Estate, Storage King Dromana offers you a choice of units to meet all your personal and business storage needs. 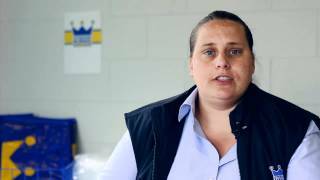 Long access hours, drive up units, 24/7 security, extensive box shop and friendly and professional staff operating a well maintained site, Storage King Dromana are your storage and packaging experts. Storage King Dromana proudly services Arthurs Seat, McCrae, Rosebud, Red Hill, Safety Beach, Capel Sound, Rye, Main Ridge and Mount Martha.